So, hello again. This time, I'm here to update you on one of my recent arts and crafts. 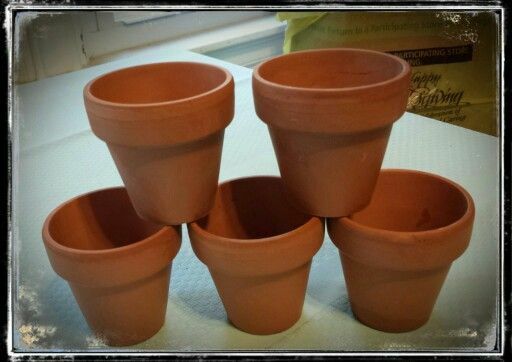 On Saturday I found 5 mini terracotta pots for approximately $1.25 for all of them. Pretty good deal. When I first bought them I had one thing in mind...Mickey Mouse. Then it went from just Mickey to the Fab Five where I would paint: Mickey, Minnie, Goofy, Donald and Pluto. But then the idea went back to Mickey. The painting took a while because I messed up on the top part and had to scrub them clean with alcohol, very messy and smelly. 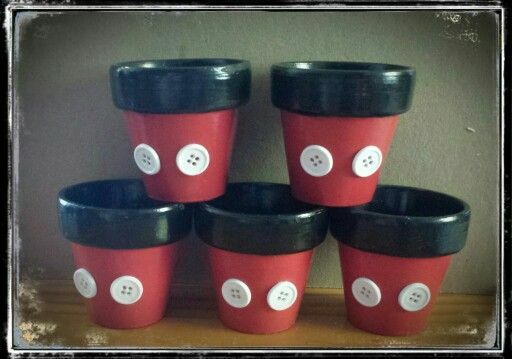 Then I got them painted right, let them dry. At first I was trying to paint Mickey's buttons on. But it didn't look great. So I repainted the section red and added 2-3 coats of varnish. Then I noticed I had white buttons... Hmmm.